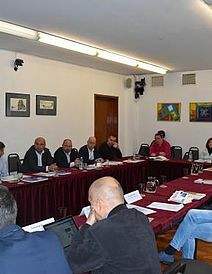 Bulgaria and Romania have long traditions in illicit tobacco trade rooted in the hardships of their transitions to market economy. 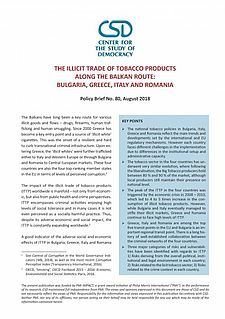 Unlike them, Greece and Italy enjoyed lower levels of illicit tobacco consumption, which changed with the arrival of the global economic crisis in 2009. 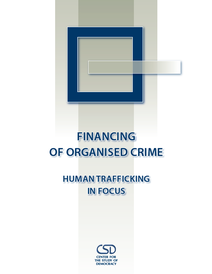 Thus by 2012 illicit market soared from 2.2 % up to 8.5 % in Italy and from 2 % up to 10 % in Greece. 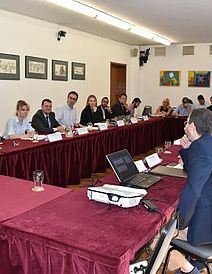 The economic crisis have also led to sharp increase in illicit tobacco consumption in Bulgaria and Romania as well. 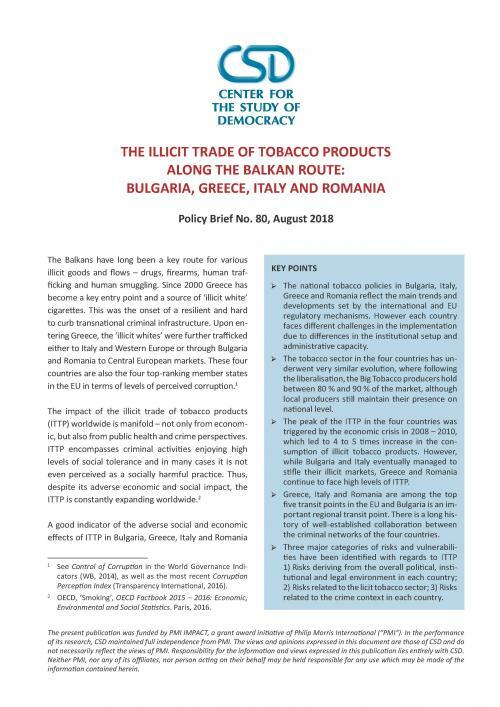 However, while Bulgaria and Italy managed to stifle the illicit market, Greece and Romania continue to face high levels of counterfeit and contraband cigarettes. 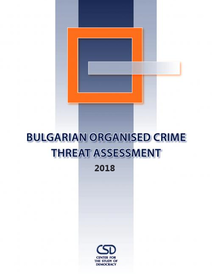 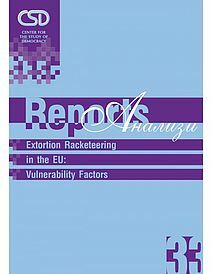 The current report examines the development of the illicit tobacco market in Bulgaria, Greece, Italy and Romania through the prism of economic risks, the political environment in the country and the region, and recent changes in the involved criminal networks and the institutional capabilities for counteraction. 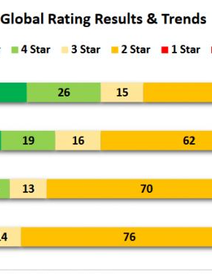 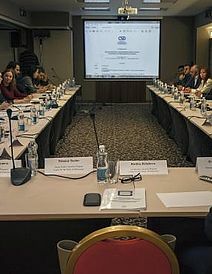 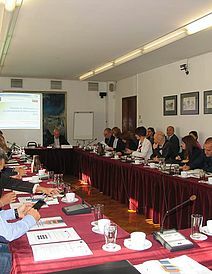 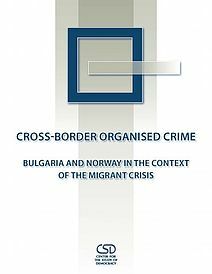 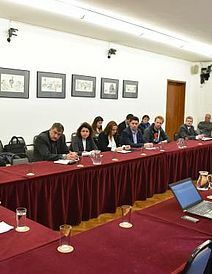 The publication was prepared in the framework of the study "Illegal Trade in Tobacco Products and the Balkan Route: Overcoming Institutional Gaps and Corruption" and is funded by PMI-IMPACT, a global initiative to combat illegal trade and related crimes.